Resicast have recently released a new full resin kit in the form of the Morris C 9 Armoured Car. The kit was Mastered by George Moore and includes both resin and photo etched parts. As well as the kit instructions on paper, a CD is available through Resicast that contains a number of folders covering the assembly, photo and history, completion and painting guide. Below is an extract from one of the folders detailing the history of the vehicle and acknowledgements which it would seem appropriate to include in full for the review. The Morris CS9 Armoured Car was developed by using a lengthened chassis of the Morris Commercial 15cwt truck, the wheelbase was lengthened by 9”. As a private venture to supply the British Army with a vehicle suitable for reconnaissance and liaison duties, it entered service in 1938. Various prototypes were made, initially a circular drum turret that could be raised and lowered, and one developed at Woolwich which was fitted with a turret similar to that fitted to light tanks and the early Guy armoured car. 99 vehicles were ordered after the final prototype was shown in 1936. Vehicle Registration numbers were HMH 898 to HMH 996. 38 were sent to France in 1939 - 40, serving with the 12th Royal Lancers, the only armoured car regiment serving with the BEF. Information is scarce but we know of vehicles with names beginning with A and C, so it can be assumed that these were squadron names. Possibly three squadrons were sent, A B and C, with 12 cars in each squadron and 2 cars at HQ level. All of the vehicles sent to France were either destroyed or captured. One photograph exists of a line of captured vehicles with German markings and still having the white ID square used on BEF vehicles. However there are no photographs of these vehicles in service with the German Army. 30 vehicles were sent to North Africa and served the 11th Hussars in Egypt. They were used in conjunction with the early 1920 and 1924 pattern Rolls Royce armoured cars in the early conflicts of the Western Desert campaign against the Italian forces. 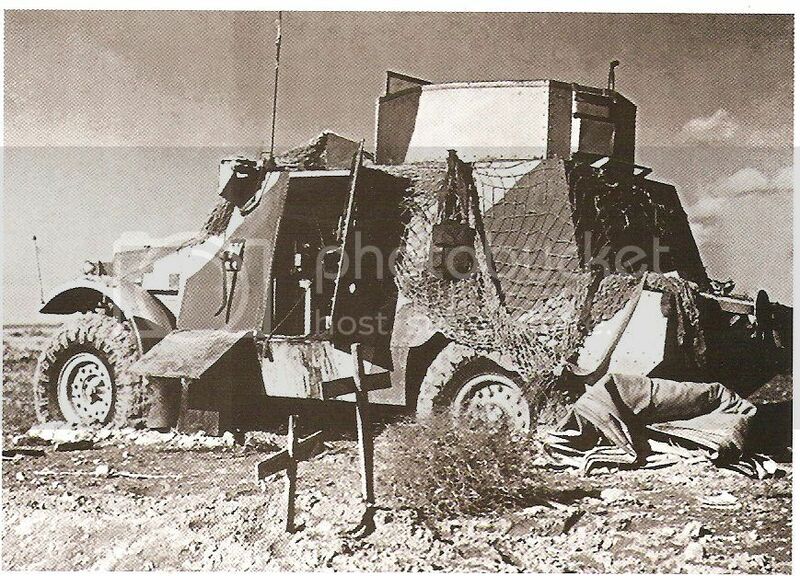 There are photographs of captured vehicles used by the Italian Army. 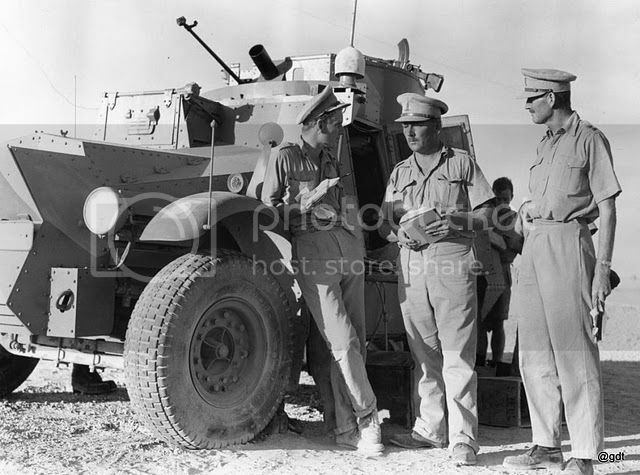 The Morris was in service up to the spring of 1941, in the Western Desert, after which an unknown number continued in service converted to light armoured command vehicles. The remaining vehicles may have been used for training and defence in the mainland UK, but again, there are no photographs or records of their use. The vehicles were armed with a Boys anti tank rifle and Bren gun, mounted in an open drum shaped turret. A 4” smoke discharger was also fitted to the turret front. 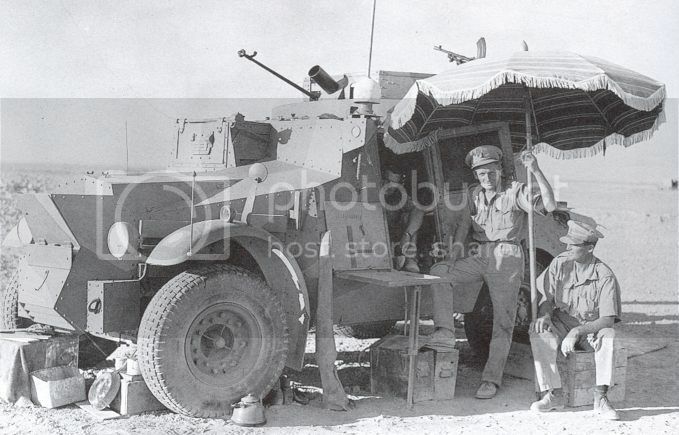 A number 9 radio set was fitted to both BEF and desert vehicles. The crew consisted of four men, commander, driver, radio operator and gunner. The turret could accommodate two men. Listing of VRN and Census numbers. Thanks are due to Mike Starmer who contributed details of the camouflage patterns. Also Bob Gregory whose invaluable collection of photographs of the BEF made researching this rare vehicle possible. Last but not least, thanks are due to David Fletcher at the Bovington Tank Museum library, who was able to supply copies of drawings of the vehicle. With the combination of players who contributed to the development of the kit and the quality of Resicast casting what we should have here is one very exciting vehicle indeed. The kit comes packed in the standard sturdy medium sized Resicast box. The top of the box contains the manufacturer and product details, and a coloured picture of the build model. Additional images of the kit are supplied on the front (note: these built images, always good for reference, have been included at the end of the review and are also available on the Resicast web site). The parts are contained in separate zip plastic bags which are wrapped in bubble wrap for extra transit protection – no rattles here. The kit contains 129 resin parts. The bulk of the parts are cast in a light grey resin, with just the chassis and upper structure cast in a cream coloured resin. To add to the 129 resin parts is a small fret of 25 additional PE parts, a small decal sheet, a 32 page A 5 booklet of instructions, plus some brass and plastic rod you will need for the build. You also get a double sided coloured A4 sheet of painting instructions as the vehicle can be built with a BEF/UK finish or a North African Western Desert finish. The instructions contain a parts list, something which I always find really useful and are of the normal photo built type. They show a logical sequence to the build and all the parts are number to match the build instructions. At the end of the build photos is a page containing 2 diagrams, one for the arrangement of the steering connections and one for the rear axle and rear springs layout. To round off the instructions are 5 pages of historical pictures related to the vehicle for reference. As with any build have a good read through the instructions first and a study of the parts list to get familiar with the elements. The chassis comes cast as a whole with internal and external detail in place. This looks well laid out and provides a solid building platform for the internal structure and external wheels/suspension units, allowing the internal sub assembly to be built, completed/painted before adding the hull and suspension parts. The interior consists of the seating, radio equipment, steering and driving controls and internal stowage bins. I haven’t yet come across and internal stowage diagram for the kit as information on this particular vehicle seems in short supply, but knowing George it will be as accurate as available information allowed and from what reference pictures I have seen looks to be correct. The radio equipment, seating and controls are all excellently cast and as the vehicle has both side and rear doors that can be modelled open and an open turret top, will provide that ‘draw your eye in’ factor that makes interiors for armoured fighting vehicles such a plus. It is difficult to determine where the SMLE were stowed, there is a reference picture at the end of the instructions showing them stowed behind the seating across the vehicle, but whether they have just been left that way or were stowed that way is a bit unclear to me. The armoured hull , Part A2, comes as a complete part, there will be some flash to clean out from the door, drivers hatch openings but this appears to fit neatly onto the chassis. The bonnet, part A3, is also cast as a whole and should also fit snugly onto the chassis. With this vehicle I don’t see the lack of an internal engine as being a particular issue. The bonnet from Part B4 will require a little careful clean up as it has the radiator vents which will need the flash removed, so be careful there. The upper rear locker bins are part A14 and one of these can be modelled open or closed which is a nice touch. They fit across the rear hull with part A13 providing the lower rear lockers. Again all the parts have excellent detail. The suspension units and exhaust parts are very nicely detailed with the front disc drums able to be angled giving a pleasing realistic position for the wheels. Study both the build pictures and diagrams mentioned above for a full understanding of these parts. That said with the rigid nature of the chassis fitting these shouldn’t present a problem. The Wheels: You get two types of wheels for the vehicle, sand tires for the desert version and normal road wheels for the BEF/UK version. Both sets are excellently cast, I did see a small flaw on the inside rim of one of the sand tires but this was very minor and easily fixable. Check the build photo for the correct selection of front and rear wheels. The turret, Part A4, is a simple open topped affair and to add to that you get suitable armament in the form of a Boys Anti Tank Rifle, Bren Guns and Smoke Pod. A folded tarpaulin is included in the kit as are the other necessary small fittings for the inside of the turret. Again all the parts have excellent detail and casting. Choose you version first as there is a small box containing signal flags for the turret rear which was only fitted to desert vehicles. All the external parts, headlights, tools , antenna parts, hatches and doors etc. are nicely done. Clear plastic film is provided for the window screen inside the front hull. The additional 25 PE parts provide fixings for the antenna, mirrors, tool holders, indicator, rear foot step, top shield and AOS support frames, inlet covers just to add the additional detail one would expect from a Resicast kit. The only thing I can see missing off the kit is the map board that was affixed to the front left hand side of the vehicle, but a recent picture has revealed a good reference for that should it need to be added. It appears that this was only seen on the Desert C9s and only on some, so it may have been a Command Vehicle addition rather than a standard fitting. The Anti Aircraft fitting for the Bren gun was only used on the Desert version as far as is known. The Decals:A small selection of decals are offered up for the kit from known reference pictures for both the BEF and Desert version. No WD numbers are provided but I haven’t yet seen them shown on the actual vehicle so that may just be a quirk of the time in which the vehicles were used. I’m no expert on this vehicle and references aren’t that easy to find but with the CD provided by Resicast and my own collection of found pictures I’d say you have here an absolutely cracking kit, expertly cast and with terrific detail. The lack of detailed information on the vehicle is a constraint that should be noted. With both BEF/UK finishes possible and also the Western Desert option the hardest part will be deciding which to build. Match it up with a Rolls Royce Armoured Car and you’ll have an interesting diorama. With a number of the lockers and all the doors able to be positioned open or closed provides more individual choice. With contributions from Mike Starmer, Bob Gregory, George Moore at the helm with the master plus Resicast’s superb casting we have here another long awaited and much ignored subject which will be a pleasure to build and produce a very fine model indeed. It is impossible not to get excited about this vehicle, as the quality shines through and it offers up yet more choice for the British Armoured Modeller. Although its service history is short, it provided during that period a very valuable and important element for the British Forces, particularly in N Africa. Highs: Excellent casting and detail. Another unique vehicle from Resicast. very well done review. With George Moore doing the masters you can be assured it is as accurate as possible. Bravo! A review that really goes the extra mile --- and more. I must admit that when I just saw the initial box photo, I wan less than enthralled, but Alan really captured the history of the Morris C9, the fine points of this reproduction, and conveyed a sense of nostalgia for one of the less well-known Steel Warriors of WWII. Reviews like these make regular visits to Armorama a must for serious modelers. Thanks for the review Al. I have one question. Is the turret open all the way through? from the parts breakdown it looks like it has some kind of false floor in it but I imagine the real vehicles turret was accessible from inside.